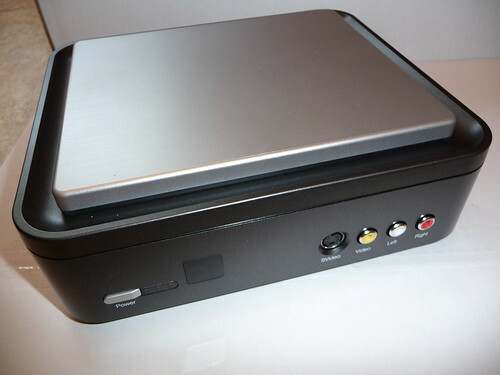 One of the most exciting and anticipated HTPC devices for several years was the Hauppauge HD-PVR HD component capture device. With the HD-PVR you can capture unencrypted and uninhibited digital HD content from your HD cable box or HD satellite box or really any device that has a component output port such as a HD video game box. I am very happy to say that the picture quality is virtually indistinguishable from the CableCard recordings. Obviously the recordings will not be the same quality as uncompressed broadcast TV but based on several hours of watching TV it is very close to CableCard recordings. I agree wholeheartedly with Alan - the picture quality on the HD-PVR is very, very good. So good I honestly cannot tell the difference on my 1080p 46" television set from the original HD cablebox picture - it is truly awesome to get all of those digital channels - especially HD for liveTV without DRM and without needing to purchase a special, pre-built HTPC like is required for the CableCard PCs - PLUS you aren't required to use Vista Media Center as your HTPC software.